The 2019 Tampa Bay Turners Invitational will commence in St. Petersburg, Florida, Jan. 18-21. Level 2-10, Elite and Xcel gymnasts will gather to show off their skills and compete in a Nastia Liukin Cup Series Official Invitational. Hosted by Tampa Bay Turners, this exciting meet will draw competitors for more than just the Florida sunshine. Here are five gymnasts to keep an eye out for. 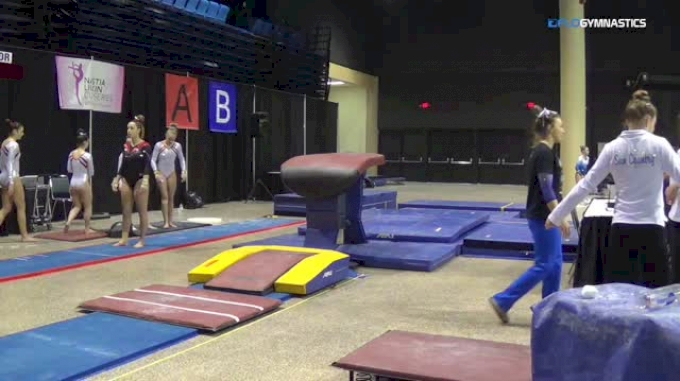 Aiello attends Sarasota Gymnastics Academy and will be competing for a title in the 18-year-old division in the 2019 Tampa Bay Turners Invite. This gymnast has experience with the meet, as she competed it in 2017 and 2018, as well. In the 2018 competition, Aiello scored well, nailing a 34.875 all-around and taking fifth, as well as fifth on bars and tying for third on vault with a 9.225. In 2017, she took third all-around and fourth on both bars and beam, adding to her finish of fifth on vault and floor. Last year, she ended her second year of level 10 by competing at regionals, hitting a 35.700 all-around score and a 9.325 on vault. Gymnastics fans will watch in anticipation as she tries to make her third level 10 season her best yet. With a recent birthday on Dec. 7, the graduating senior hopes to keep her good luck streak alive at this meet and finish on the podium. In her first season as a level 10 gymnast, Madelyn from Intrigue Athletics is ready to compete this weekend and make a splash. She will compete as a 17-year-old even though her birthday is not until March, and although she has never been to this invitational as a level 10, she has competed in this meet before in 2015, 2017 and 2018. Madelyn has experience being up on the podium at this meet, as she took first place all-around in 2018 with a 36.425, first on vault with a 9.425, second on bars with a 9.175 and tied for second on floor with a 9.300. In 2017, McGahen also took first all-around, that time with a 36.400 as well as first on vault and bars with a 9.475 and 9.150, respectively. In 2017 she also placed third on beam and sixth on floor. She has a good chance of keeping her first-place position this year as she began her 2019 season strong at the Atlanta Crown Invitational, placing first all-around with a 36.825. Madelyn also took first on beam with a 9.450, second on vault with a 9.175 and third on bars with a 9.150. This Sun Country Gymnastics star is competing in the 15-year-old category and is a seasoned competitor at this meet. A level 10 since 2016, Ziegenfelder competed in the Tampa Bay Turners Invitational in both 2017 and 2018. In 2017 she took third all-around with a 35.800 and tied for second on floor with a 9.175. She took fifth on vault in 2018 at this competition, scoring a 9.300. This will be her second meet of the 2019 season, as she first competed at the California Grand International meet in Anaheim, California, Jan. 11-13. She started her season off well, taking second all-around with a 36.150 and landing in first place on both vault and floor with a 9.450 and a 9.500. This 2022 graduate has a large cheering section already, as she has seven sisters and three brothers, but be sure to look out for her and cheer when it’s her turn on the mat! 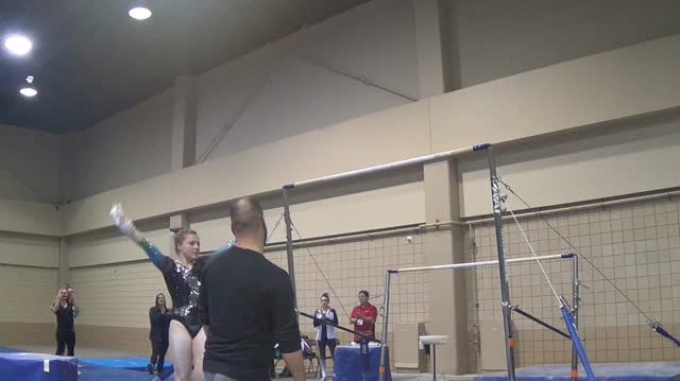 Mya competes for Orlando Gymnastics and will be participating in the 14-year-old age category at this meet. This year will be her first level 10 season, but her history as a level 8 and 9 gymnast give reason to keep an eye out for her. May rose quickly through the levels, competing level 6 in 2015, 7 in 2016, 8 in 2017, and 9 in 2018. She had a strong season as a level 8 in 2017, taking second all-around at the Dolphin Classic with a 36.725, as well as first on bars with a 9.450, first on floor with a 9.525 and second on vault. She placed first all-around at the Sand Dollar/Whitlow Invitational with an incredible 37.475 all-around and won first on beam with a 9.500. She continued her clean, stuck routines at Brestyans Las Vegas Invitational, scoring a second all-around with a 37.575 and first on floor with a 9.525. She took first all-around at the Magical Classic, Tim Rand Invitational and State Championships, her top all-around score from those meets a 38.400. At state, she took first on vault with an impressive 9.825 and beam with a solid 9.575. Last season as a level 9, she took second all-around at the CK Pink Invitational and placed first on vault with a 9.200 and first on bars with a 9.400. She took sixth all-around at state with a 37.275, and third on vault with a 9.575. She then advanced to Regional Championships and placed third on floor with a 9.400. A rising star from the host gym, Delaney is competing her first level 10 year this season. She will be competing in this meet as a 13-year-old, and lots of her Tampa Bay Turners family will be there to cheer her on in one of her first meets of the competition season. As one would expect, Delaney has competed at this meet every year since 2015. In 2015, she took second all-around as a level 7 with a 37.350 and placed second on floor with a 9.550. In 2016, she took third all-around as well as second on both vault and floor while competing level 8. The next year was another strong one, where she competed level 9 and took second all-around, as well as second on floor and third on bars and beam. In another year of level 9 in 2018, DeHaan took fifth on bars with a 9.325, sixth on floor with a 9.500 and sixth all-around with a 36.950. Her 2019 season has started off strong, as she took first all-around with a 36.500 at the 2019 Shannon Miller Gold Cup. She also placed first on floor with a 9.400, third on bars and beam with an 8.825 and a 9.225 and fourth on vault with a 9.050.